Many parts on your vehicle (including fluids, spark plugs, brake pads and rotors) have a limited service life and need to be serviced at pre-determined intervals. Regular preventative maintenance is likely the single most important thing you can do to keep your car running safely and efficiently. Routine services like oil changes, tire pressure checks, and scheduled inspections are a great way to keep your car running properly and catch problems before they become serious. Check your owner’s manual for detailed information on how often to inspect or replace things such as oil and filter, transmission fluid, brake fluid, coolant, power steering fluid, fuel, air and cabin filters, drive or timing belts, and more. 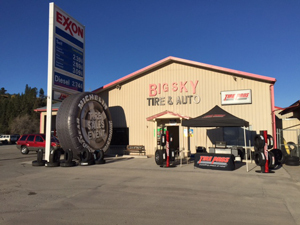 At Big Sky Tire Pros, we have the tools and expertise to properly service your vehicle on a regular basis.